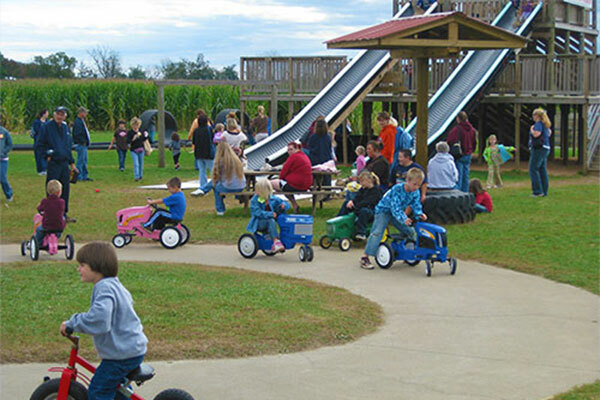 Load up the bus and head to the farm for a day full of fun and educational farm activities! Students will love learning with our hands on activities and one of a kind experiences! 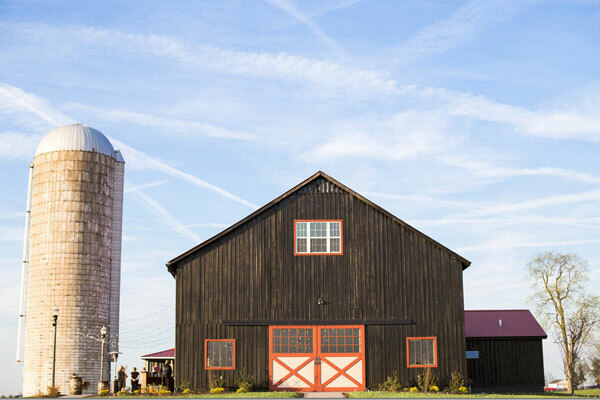 Plan the perfect party right here on the farm! 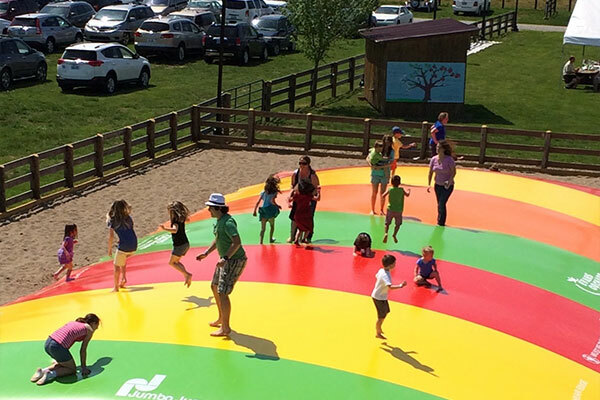 Make your child’s day with a farm-tastic adventure at Evan’s Orchard! 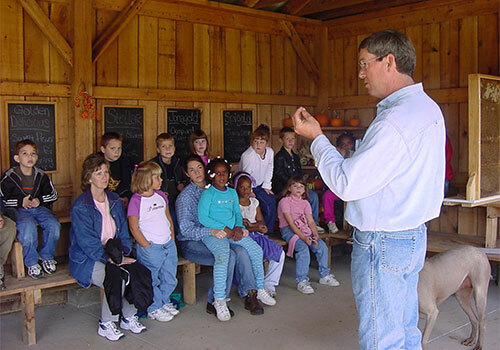 Our educational school tours are designed to help children enjoy learning, allowing them to see, feel, and touch things on the farm that are unfamiliar in their everyday world. Please ask for Jenny Evans at 502-863-2255. Each student gets two apples! 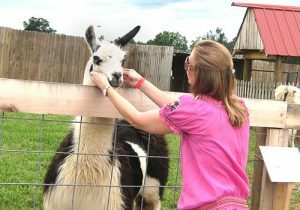 Farm animals including pigs, goats, rabbits, & more! Each student gets to pick a pumpkin in the Pumpkin Patch! No charge for each teacher and one assistant per class (25 students). Teachers take home a pumpkin for the classroom. Group minimum is 15. School tours can be modified to suit specific objectives. Tours do begin promptly at scheduled time. Parents and siblings pay the same fee as the students. Each parent who would like to go on the tour must check in at the orchard gift store to pay and receive a wristband. Snack includes souvenir apple sipper (8 oz) filled with fresh pressed apple cider and an apple cider donut! Delicious! Our fun sack lunch includes a hot dog, chips, and a souvenir apple sipper (8 oz) filled with our fresh pressed apple cider. 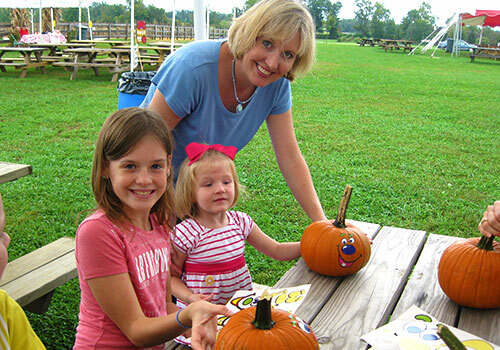 Celebrate your child’s Special Day in a special way–a Birthday Party at Evans Orchard. Reserved Birthday Tent with 6 picnic tables for 2 hours. There is an $8.00 per child charge for additional guests, 30 child maximum. We have plates, cups, napkins, etc. available at an additional charge. You will be asked to make a $50 deposit by phone or mail to confirm your reservation. Deposit is non-refundable except in extreme weather conditions. Now, you can request Sack Lunches or other Treats from Sweet Apple Café to be ready for your guests! Our grill also serves rib-eye sandwiches, grilled chicken sandwiches, hot dogs and hamburgers for hungry adults. 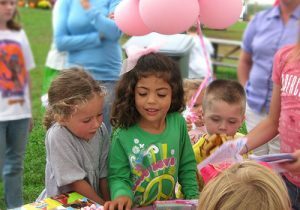 *Parents/Guardians are responsible for supervising children at Birthday Parties. No smoking or alcoholic beverages are permitted. Birthday Party fees do not include Pony Rides. Pumpkins or painted pumpkins are not included, but may be purchased for your party.